You can integrate Freshmarketer easily with your Shopify site by installing the Freshmarketer app for Shopify. After the integration process, you can run numerous tests and Optimize your site accordingly with the help of various tools available in Freshmarketer. You can also generate and add Freshmarketer JS code to your website directly. 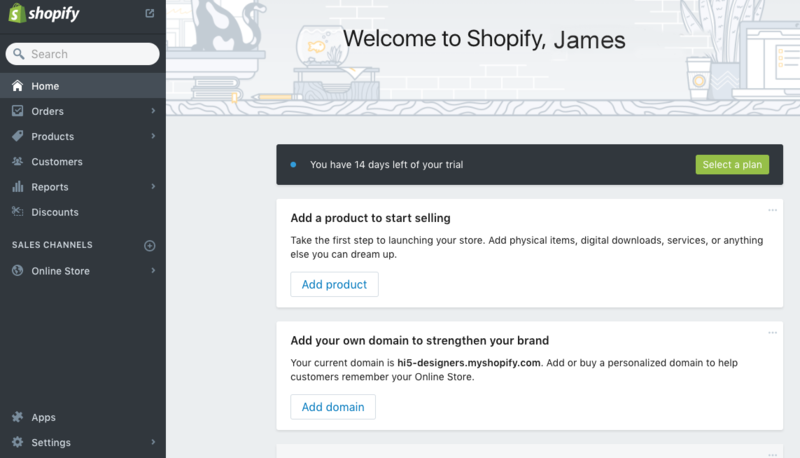 STEP 1: Log into the Shopify administrator panel. 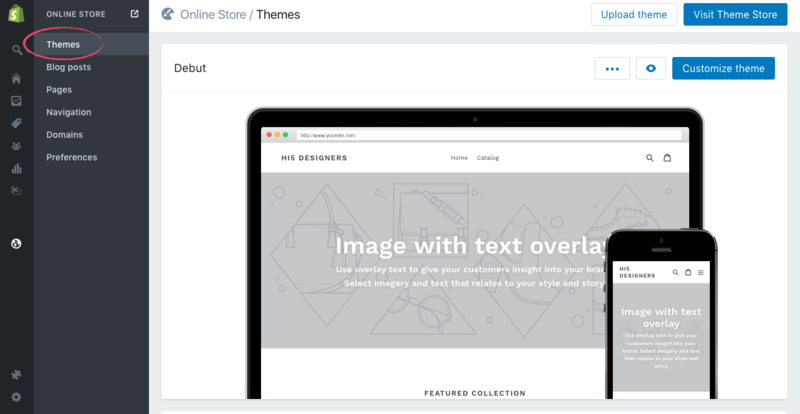 STEP 2: Click Online Store and click on Themes. STEP 3: At the top-right corner, click on ‘...’ button and click on Edit HTML/CSS. 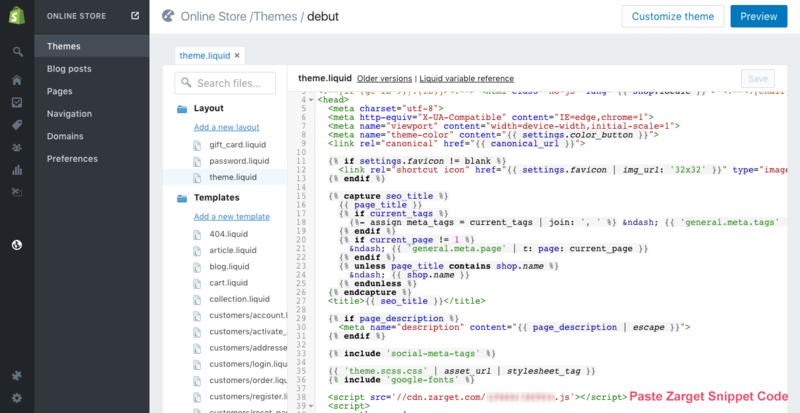 STEP 4: In Layouts section, click theme.liquid to open your template file. STEP 5: Scroll the page and paste the Freshmarketer code snippet in the <head> tag. Now the code is integrated into the Shopify site.